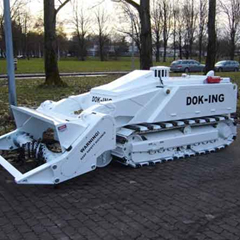 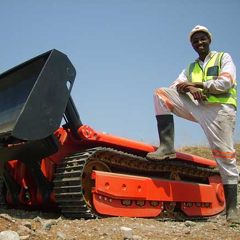 Heavy Fire Fighting System | Mine Laying And Mine Disposal | Dok-ing D.o.o. 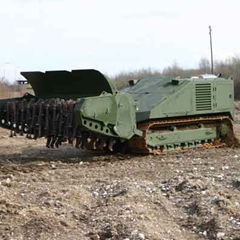 JELKA-10 is Heavy Fire Fighting and Remote-Controlled System that is dominating with excellent maneuverability, low ground pressure, which works by using a remote controlled system. 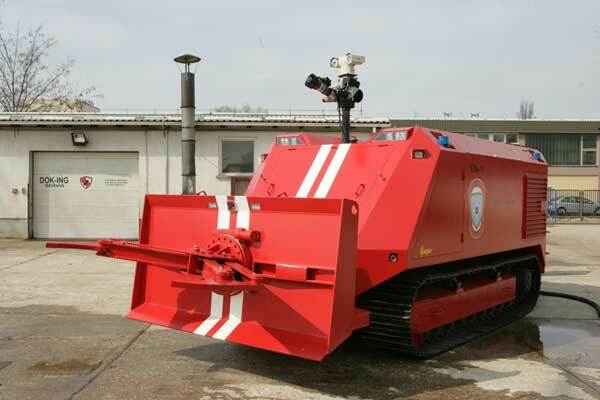 This fire fighting system can be transported by air and can clear the access path to a fire for other fire-fighting vehicles. 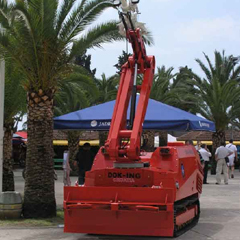 The fire fighting system consists of: centrifugal water pump with 4000 l/min flow rate at 10 atmospheres pressure, piping, foam pump and water cannon with 3600 l/min flow rate.